Comprehensive range of different pattern glass and metal Designer Pens that we offer is available in various attractive features. 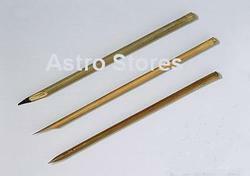 We offer these glass and metal beats pens as per the requirement of our clients. These are used for placing in various office as to enhance the look of office. These are available in various attractive features long lasting polish and in different styles. Our organization hold expertise in manufacturing, distributing and supplying superior grade Pen in Jaipur, Rajasthan, India. 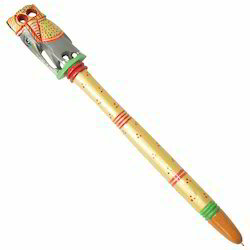 Our offered Pen is widely appreciated by our customers, which are situated all round the nation. Known for its best quality, clients can avail this Pen at industry leading prices from us.